I made a new purse this week. I’ll be honest….it was a mistake. I was sewing along just swimmingly and had it almost done then I realized…uh oh, no strap. What to do? Well, poke a hole in it of course! Then add a grommet, then a ring I found at a thrift shop, slide on a cool little wrist strap and voila – NOW we have some fashion here, people! 7 inches wide by almost 9 inches tall. Made of recycled bike inner tubes (no surprise there), a thrift shop metal ring, new grommet and new zipper. 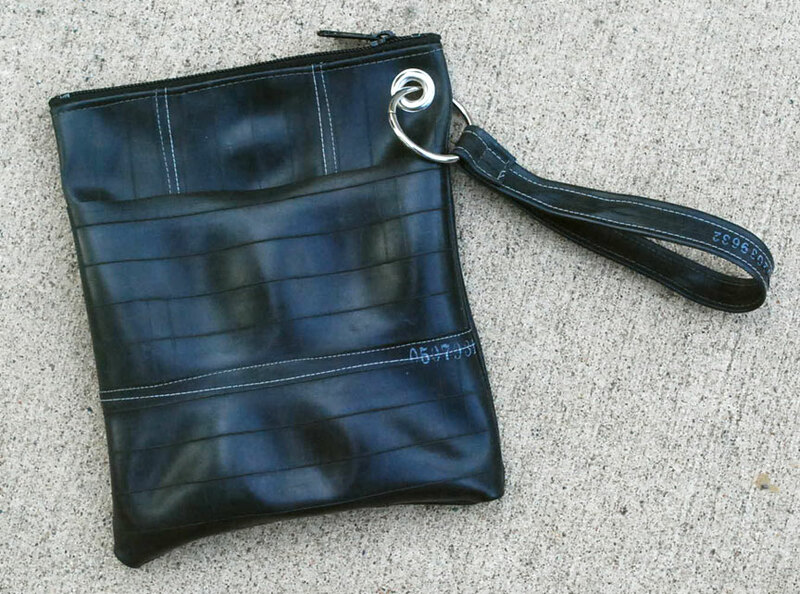 Email me if you can’t live without a Wristlet of your own.